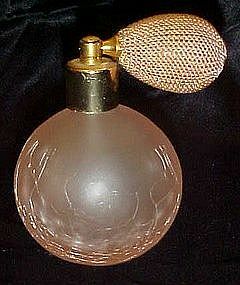 A lovely vintage pink satin crackle glass perfume bottle. Silk covered atomizer bulb. 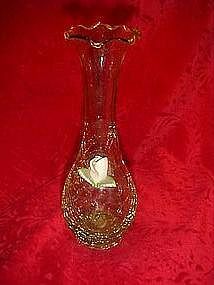 Measures 4" tall and ready to refill and use with your favorite perfume. No chips or damages. 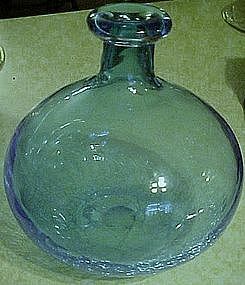 A beautiful aqua blue hand blown vase with a crackle bottom and large bulbous form. Thick lip at the top with a1" opening. Pontil has been ground smooth. 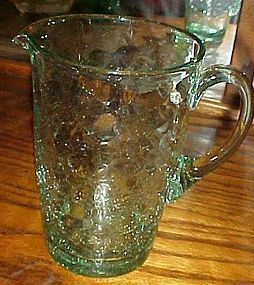 Beautifull condition and measures 8 3.4" tall. Perfect condition. No scratche, cracks, chips or cloudiness. 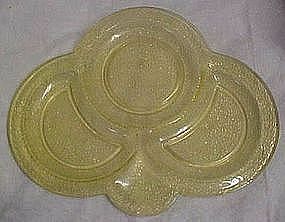 Simply divine, but no idea of the maker or time era. 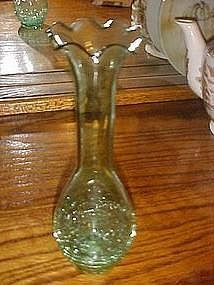 A pretty minty green crackle glass vase with an applied porcelain rosebud. 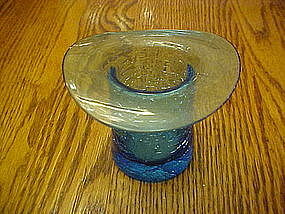 Measures 8" tall and has a thin fluted top edge. Perfect condition. A soft light green color makes this vase a prize to gaze upon. 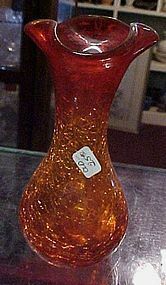 Hand blown and measures 8" tall. 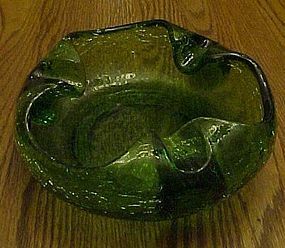 Crackle is on the lower extremity of the vase, fading to a plain thin delicate neck and softly fluted top edge. No damages, at all. 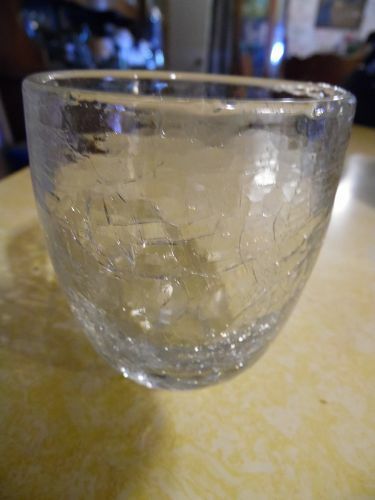 A simply wonderful piece of vintage crackle glass.